A1 Overseas International ships autos to Libya! Call 1-800-450-5319 or fill out the form for details and a FREE quote! Shipping to Libya is best done by an auto shipping company that specializes in international vehicle shipping. With all of the details and attention required, the task is too demanding for most to take on alone, especially when the proper equipment is not owned. However, international auto transport remains imperative for some or in the best interest of those relocating to the country. This is why there are professionals to assist you. Vehicle import into Libya isn’t the easiest to see through, but their laws aren’t as strict as they could be. Vehicles can be sent to the country and permitted into its borders with a few stipulations. A1 Overseas International will help you stay organized while fulfilling the requirements, but you must first contact the Embassy of Libya for the most up to date policy on auto import and export. All duties must be paid in full and a receipt must be provided. The vehicle should be less than 5 years of age. The vehicle must be prepped as asked for by the auto transport company. Specific documentations and certificates will need to be shown to Customs. Usually this includes the original bill of sale, title and registration, passport, import permit, insurance coverage, vehicle manual, driver’s license, and other similar proof. Auto import can be costly depending on the taxes you’re expected to pay to the country where the vehicle is being shipped. 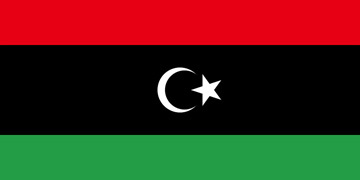 Libya’s regulations are rather tough to adhere to, but that’s another reason to hire professional shipping help. They will ease the process and make it possible. For a FREE quote and more information on boat, motorcycle and car shipping, call 1-800-450-5319 or fill out the form!